Wow! Real nice post! 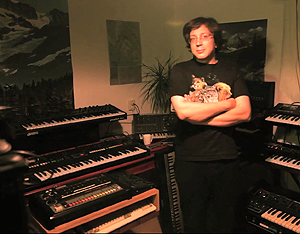 His synths collection is crazy.